My latest obsession? Lip glosses! I admit that in these hot months I am bored to do my make up! I rarely use a foundation, eyeliner and heavy stuff. Moisturizer, a little bit of bronzer, mascara, lip gloss and ready to go! And if skip all my make up routine, I never forget to apply a little bit of lip gloss! 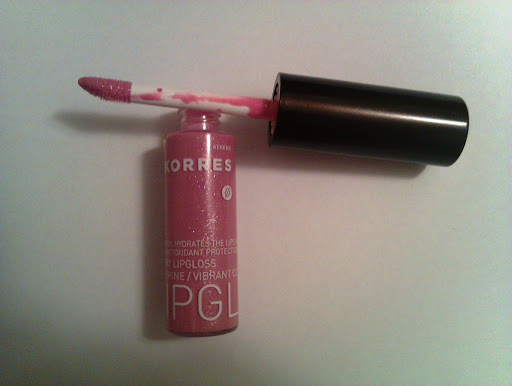 One of my loves is Korres Cherry Lipgloss in Light Purple(no 23). It is a shimmery cool toned light pink/mauve color. The gloss is hydrated and non- sticky. 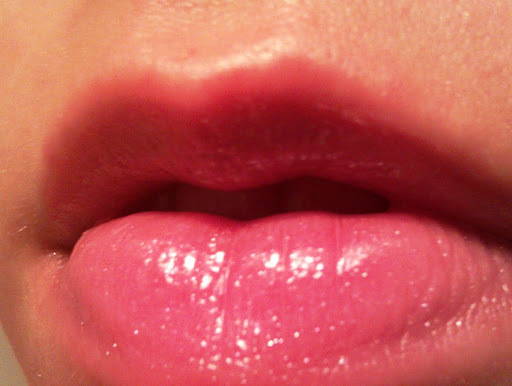 It contains cherry and jojoba oil which offer your lips a luminous effect and a *yummy* cherry taste! Vitamins E and C offer our lips antioxidant protection. The gloss is dermatologically tested, free of mineral oils, propylene glycol, silicone and ethanolamine. It is really pigmented. Once applied, you get the color that you see in the tube. Such a vibrant color!!! As for the silver glitters that you see in the tube, in your lips they appear just like a glossy result. The long lasting is one of the parts that I love! It stays for at least 3 hours and that is a good score, don’t you think? In Greece the cost is about €9 or even less if you find a gift set. For more info about prices and where you can find Korre’s products, please visit Korres International Site (there is also an eshop here). Have you ever tried this product? Which shade? Did you like it? just passed from your blog and I saw your articles about Korres.I like your lipstick swatches!!! I love love love this lip gloss!